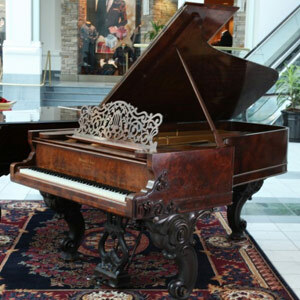 This piano was built by Steinway in 1875 during the height of the Victorian era. It is made of the desirable cabriole leg style with carved music rack and pedal lyre. 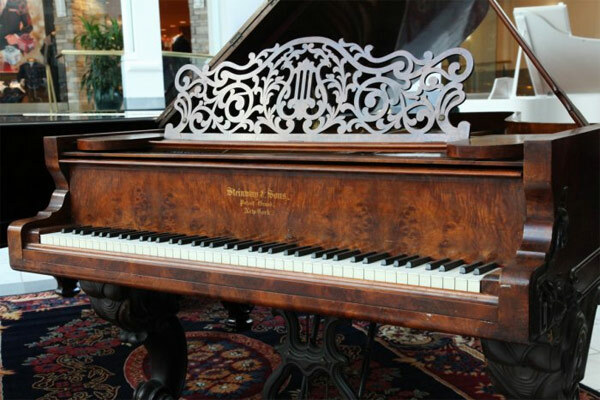 This piano is a "Style 2" model, the predecessor to the now famous "Model B" Concert Grand. 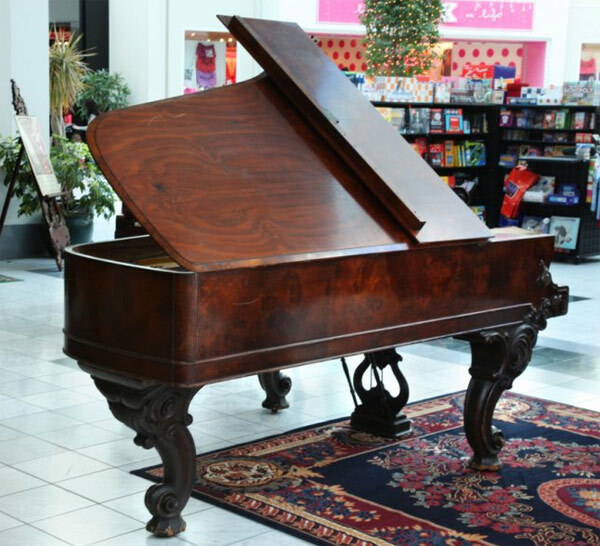 Nearly all surviving Style 2 Rococo parlor grand pianos today are Brazilian Rosewood, but this piano is made of stunning French Walnut wood. 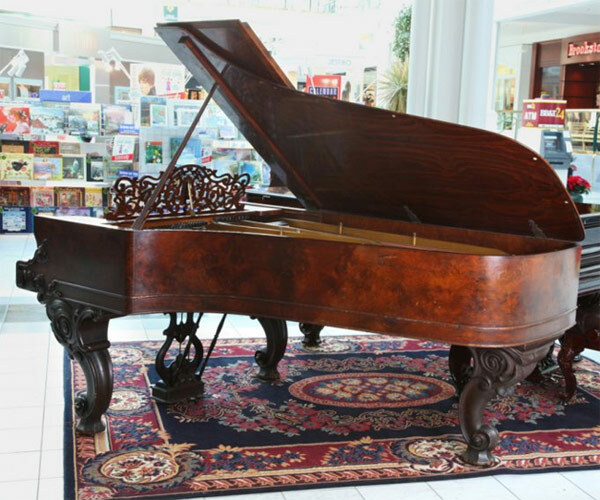 These instruments in French Walnut are among the rarest, most desirable vintage Steinway grand pianos in the world today and you simply can't find them available anywhere. 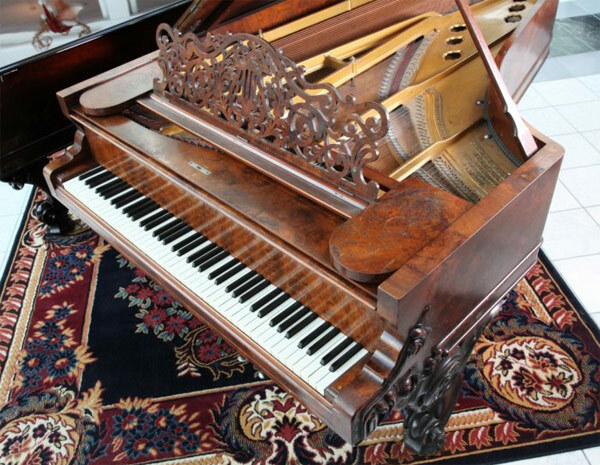 The piano is shown here Before Restoration, and will be restored to perfection inside and out. Even now, prior to restoration, the piano plays well and has a strong and powerful tone. This piano can be equipped with computerized player mechanisms if desired. A matching stool is included.